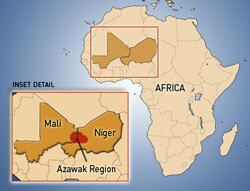 Denis, Fassely, Soriya, and I returned from Niger mid-April 2013 after five rewarding months. 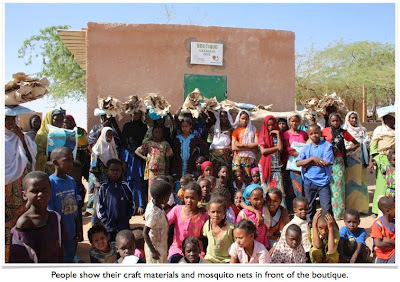 With the support of the Vibrant Village Foundation and our ever-devoted student Heroes of Compassion, we accomplished all of our planned projects despite the outbreak of war in neighboring Mali, and ongoing terrorist threats. I am particularly grateful to Denis and Momine (project coordinator), who braved the risks of being taken hostage to pursue our life saving and enhancing work for our communities in the Azawak. 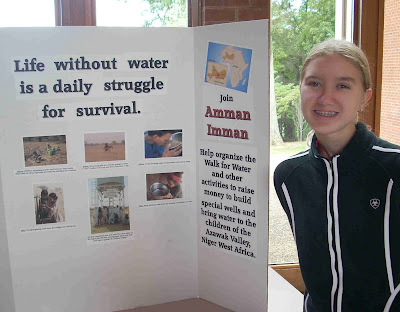 I am also ever thankful to Amman Imman’s associate director, Debbie, for successfully coordinating Amman Imman’s Wells of Love activities, and organizing a powerful Walk for Water 2013. We are particularly proud to have a positive influence on the hearts and minds of students worldwide meanwhile improving lives in Niger! OUR NEWEST BOREHOLE IN COULOUBADE! The bulk of our efforts in Niger went towards building our most recent borehole for the Fulani community of Couloubade -- which includes the village of Couloubade and 17 surrounding smaller communities. Prior to the construction of their borehole, the community had to walk between 10 and 25 km a day to fetch water for their families. Today, the 4000 people from the Couloubade community will directly use the borehole on a regular/year-round basis. 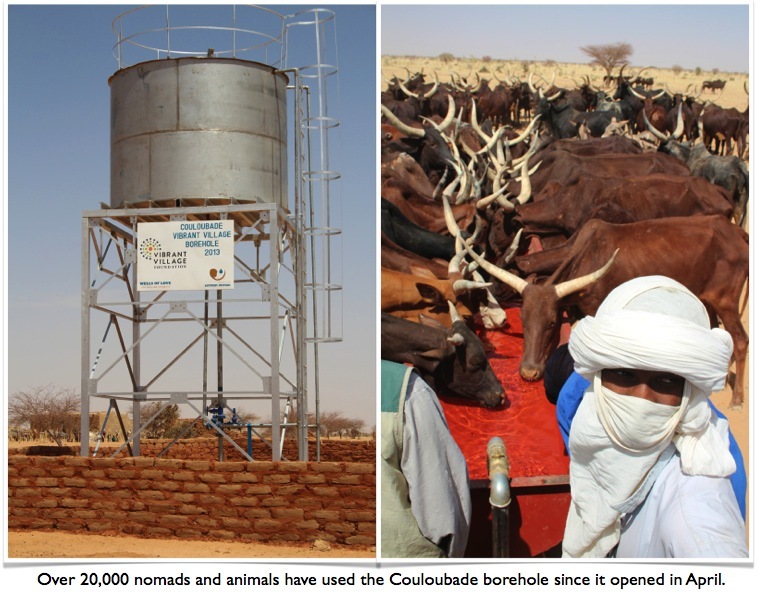 Up to 20,000 passing nomads and their animals have been using the borehole during this dry season. 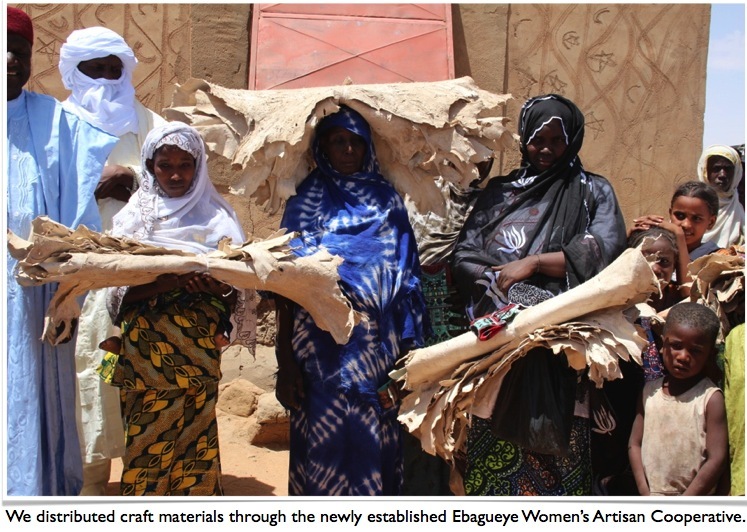 In our Ebagueye borehole community, we focused on addressing the community’s expressed priorities. 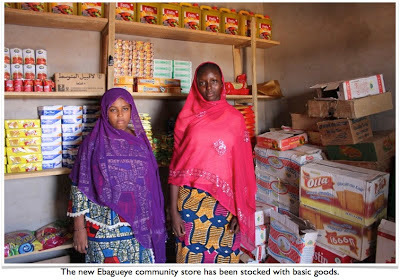 We started a livestock fodder bank, constructed and stocked a community store, established a women’s artisan cooperative, and a women’s cereal bank that provides affordable grain to the community. Each of these activities provides jobs and generates revenue. 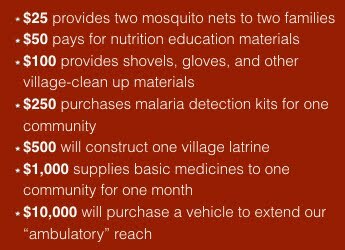 Malaria prevention was addressed with the purchase and distribution of 400 mosquito nets to the communities’ most vulnerable families. We also built three public latrines for Ebagueye village, and we will conduct hygiene and sanitation training throughout the year. In the next several months we plan on establishing community gardens in order to help Ebagueye become more autonomous with its food supply. We also conducted additional training for the Borehole Management Committee, which currently has over $3000 in their borehole fund. The borehole continues to provide pristine water to the Ebagueye communities, passing nomads, and also to much of the population of the town of Abalak, who continue to suffer from severe water shortages. 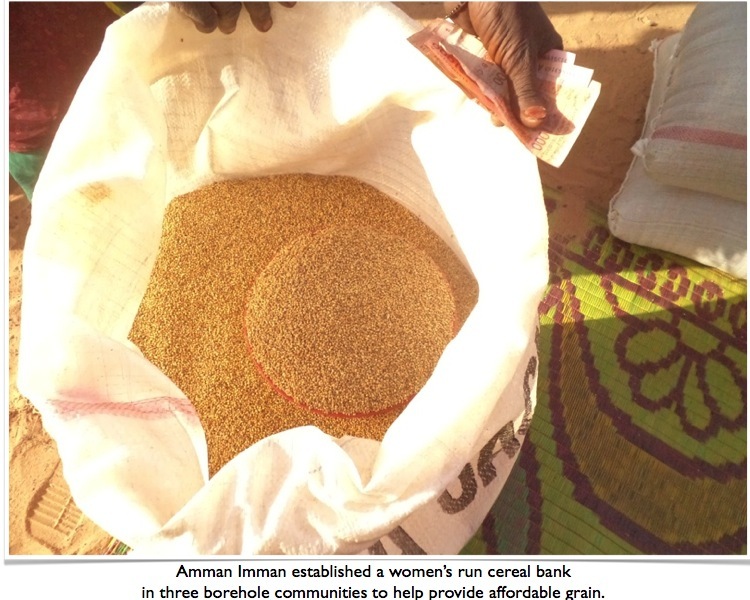 In 2012 we provided food assistance, and set up community run cereal banks in Ebagueye, Tangarwashane and Chinwagari in order to help temper the threat of famine. These cereal banks are still helping our communities’ meet their food needs. 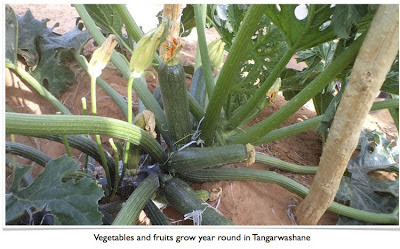 We also helped establish a community garden, and donated tools and seeds to Tangarwashane. We continued to provide food assistance and gardening training in Tangarwashane this year. 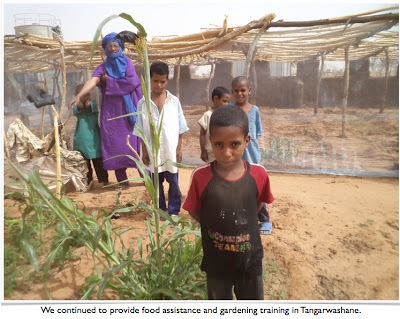 Thanks to the tender care of children and parents alike, vegetables and fruits are now sprouting year-round from the once parched earth. In addition to water and food assistance, we planted 40 mango and shade trees and donated school books and materials to Tangarwashane, Kijigari, Ebagueye and to ten additional schools in rural Azawak. 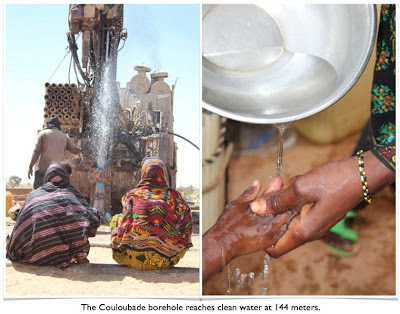 The Niger government has been supportive of our work, and the national TV station ORTN aired a show on the construction of the Couloubade and Ebagueye boreholes, as well as our other life-enhancing activities. Last year the US ambassador to Niger, Bisa Williams, highly commended our activities after a visit to Kijigari and Ebagueye. THANK YOU FOR YOUR LIFE CHANGING HELP!! We are very grateful for your support, and deeply appreciate your contributions whenever you can help. If you know a school or community group that would like to get involved in our Wells of Love program, please put them in touch with Debbie,debbie@ammanimman.org. If you are marathon runner, you can join our team of runners on October 27 in the Marine Corp Marathon in Washington DC. Get started here. Please follow us on Facebook, Twitter, and take the pledge for water on Instagram. 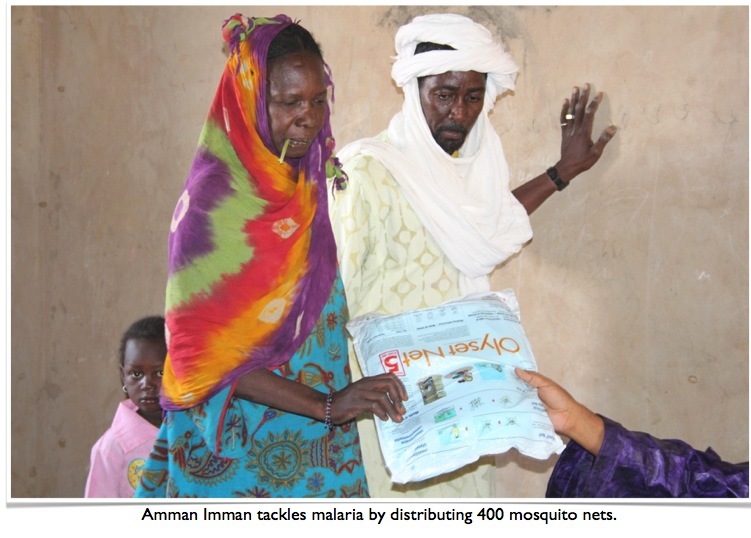 With help from people like you, Amman Imman is building a future of hope. We invite you to make a donation to help us save lives!